Pepper spray is one of the simplest, most effective means of non-lethal self-defense. Pepper spray products are used around the world to protect individuals from assault as it disorients the attacker, providing enough time to get away. However, one of the most problematic issues with most pepper spray containers is not the device itself, but getting it quickly into your hand so that it can be used. Keeping the spray in your purse or pocket means that it takes time before it can be found, pulled out, and used. Given how quickly assaults can occur, this makes using the device problematic for many. Mace Brand pepper spray has come up with an effective and remarkable simple solution that allows you to access the product quickly and even help you aim it correctly. 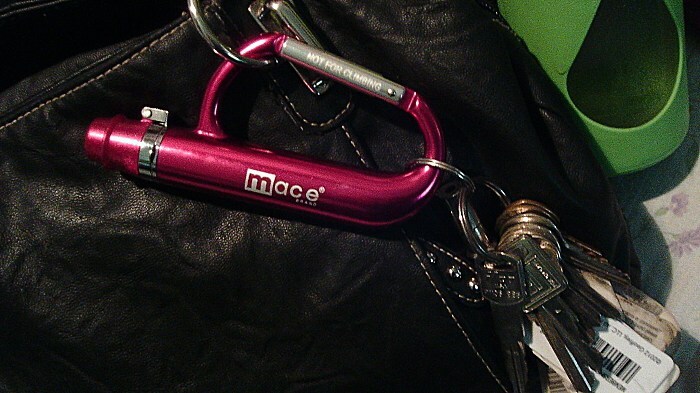 Mace Pepper Spray with Carabiner is designed to speed up your ability to access the product for better self-defense. You’ve seen carabiners most often used for keychains, backpacks, and even clothing. It’s not surprising that most people who are very familiar with this device do not know that this hook-like clip is called a carabiner. It is a large, C-shaped attachment ring with a gate that operates on a spring. You simply place the carabiner on a belt loop and close the gate. By opening the gate, you can quickly remove the carabiner that has the Mace Pepper Spray attached. You can hang the pepper spray in a convenient place that allows you to reach it instantly and use it when attacked. There is a hinged safety cap to prevent accidental discharges, so that will need to be flipped open so you can use the device. All the actions needed to retrieve, activate, and aim the pepper spray takes less than two seconds from the time you reach for the device. There is an orientation tab that will help you aim the pepper spray accurately, so you are less likely to miss when using it. The device comes with up to six bursts and fires in a cone-spray pattern which greatly improves the chances of hitting the assailant. When fully expended, you can use a refill unit to recharge the pepper spray. 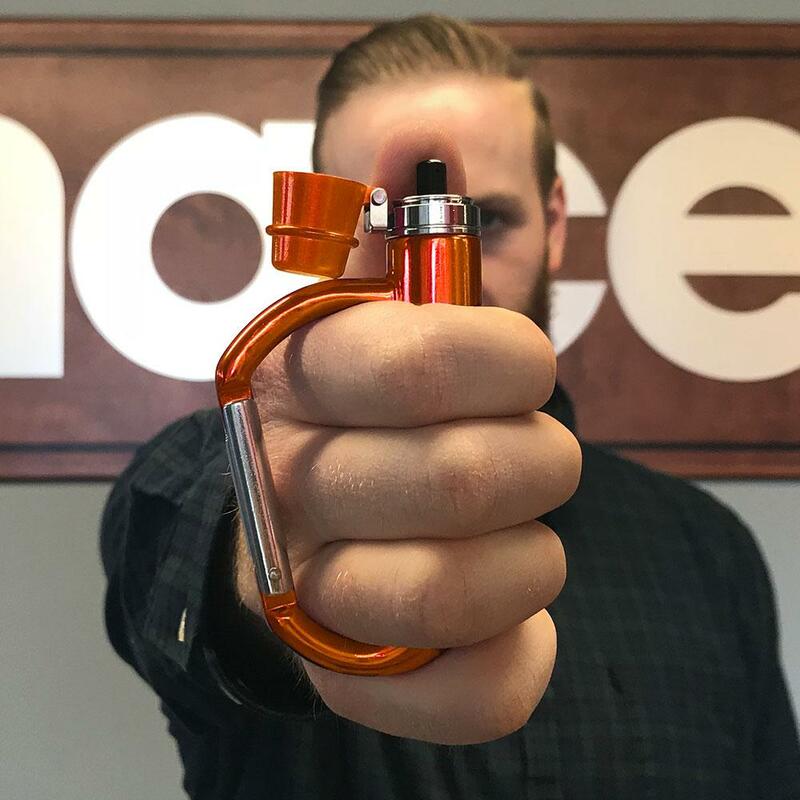 Easy to Use: The carabiner makes this pepper spray product even more effective because it allows you to attach the device where it is most convenient. You can carry it on a belt loop or use it as part of your key chain. This means that accessing the spray is quick and simple. 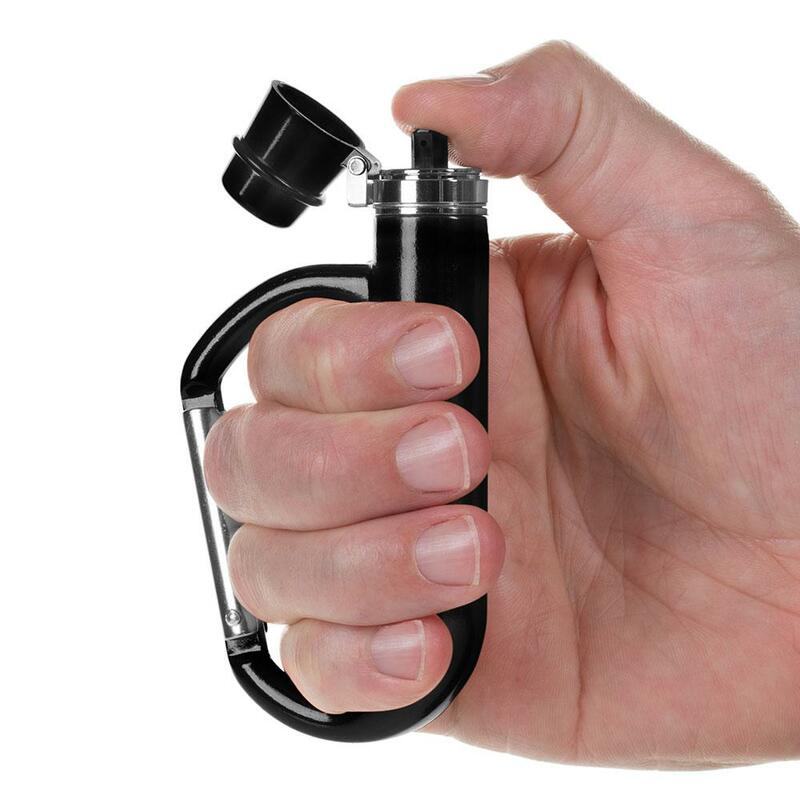 Plus, the shape of the carabiner helps you to properly handle and aim the pepper spray where it is most needed. Orientation Tab: This small, but important tab helps you to aim the pepper spray at the eyes or chest of the assailant for maximum effectiveness. The tab is a simple addition, but one that helps increase the accuracy which is important to get maximum benefit from the spray. 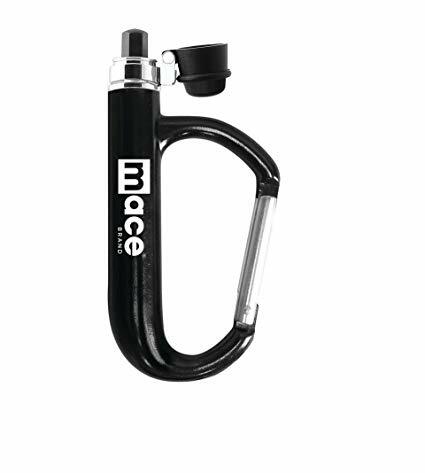 The Mace Pepper Spray with Carabiner can be easily refilled and kept for years to come, protecting you at a moment’s notice. By adding it to your key chain, it will be with you wherever you go.